Many people desiring the look and feel of a new home still want an old style farm kitchen sink. It is easy to incorporate this look into your kitchen affordably. Just browsing the styles that are available online will help you get an idea for what is available and the many styles that you can choose from. Sinks come made of copper or other different types of materials. The copper ones are actually antibacterial in nature which makes them great for staying clean. Most of them have been hammered to give them that rustic, yet elegant appearance. This style of sink is usually deeper than most and comes in a variety of sizes. The farm house style kitchens are increasing in popularity as more and more people are looking to decorate in this style. This style of sink offers function and beauty. You can use this quality product for years to come and know that it will last for many years of use. Many people are pleasantly surprised when they discover how easy it can be to care for one of these quality sinks. Copper sinks are almost maintenance free. A mild soap is recommended for basic care. Harsh chemicals are not recommended as they can harm the natural finish on the copper. Take care to follow the manufacturer’s instructions. It is important to point out that copper will continue to change color over time. This means that your sink can become even more beautiful with age. Unless you want a high-shine finish at all times, it is not recommended that you use copper cleaners. The new look of farm kitchen sinks is becoming increasingly popular. Many people are seeking this style in their home and it can add value to your home. 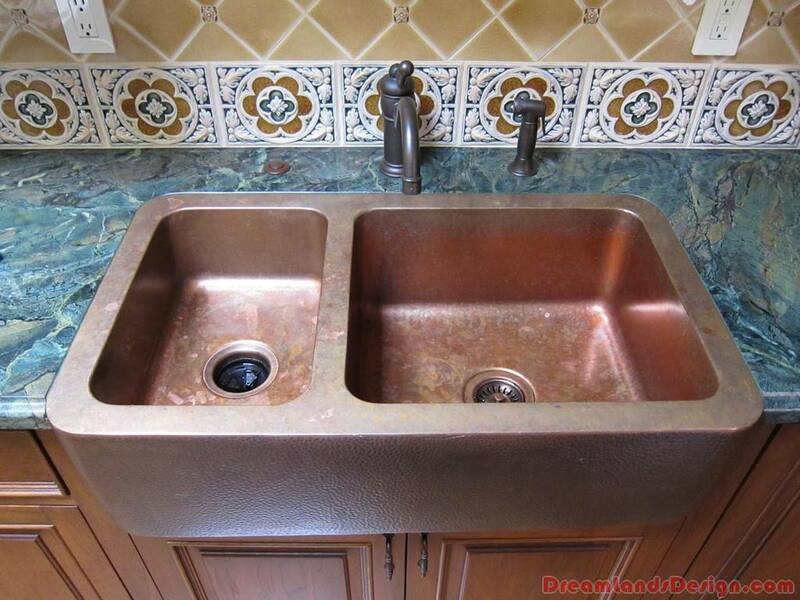 A copper sink can give a look of quality and elegance to almost any home. You can order the size and style that you feel would look and work best in your home. The online ordering process is simple and hassle-free.